Happy New Year everyone. A quick post to get the new year started and I recently scored a few HP5082-7340 hexadecimal LED display chips. These are cool looking integrated hexadecimal LED displays measuring 10mm wide and 14mm high with standard 2.54mm pin spacing. A great feature of these displays is that each chip contains all the decoder and driver logic internal to the device. Unlike a Texas Instruments TIL302 which requires a BCD to 7-segment display driver chip such as a SN74LS47, the HP5082-7340 requires 5V, 4x pins for a BCD representation of the character, an enable signal and an optional display blanking signal. 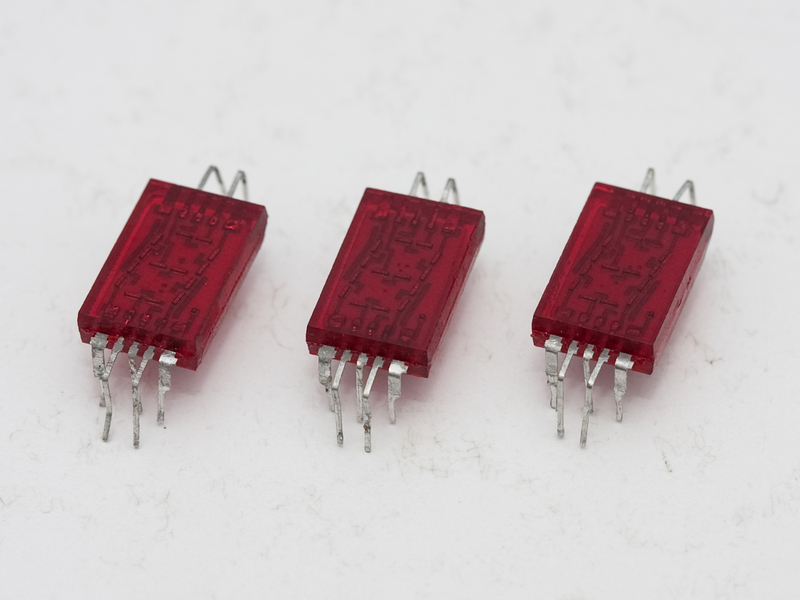 Additionally, there is no need for current limiting resistors, this is handled on-chip. To demonstrate how the display looks, a quick breakout was made, a schematic of the circuit shows the simplicity of interfacing one of these display chips to a microcontroller. Old seven segment displays definitely have a cool factor. These TIL302 displays from Texas Instruments are no exception. After clearing out an old cupboard at work, I stumbled across a couple of old Motorola MC68705P3S microprocessors. What immediately caught my attention with these chips compared to others, was that they had a ceramic package which is not very common. Additionally, they have a glass window over the chip’s die (more details on the reason for this later) allowing you to peer deep inside the chip.